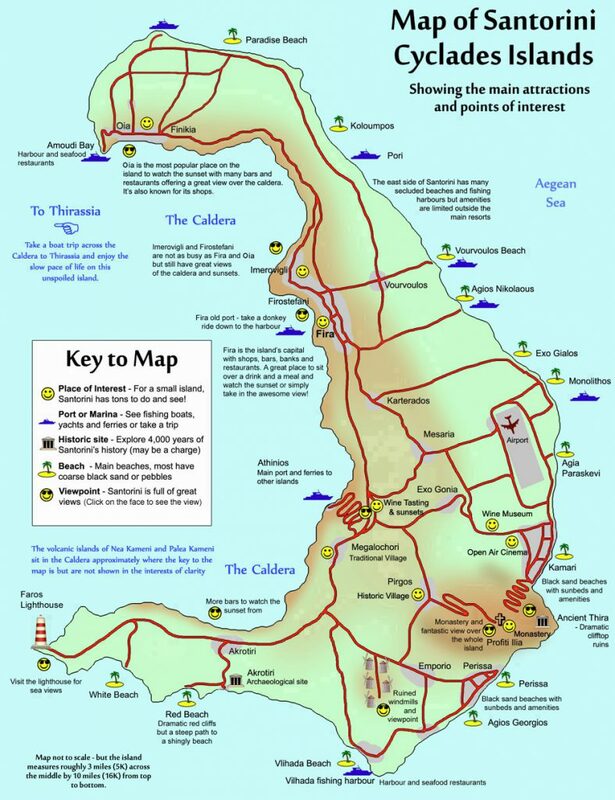 Wondering where is Santorini island on ther map? Santorini is the an island of a complex of islands called Cyclades. It is a small, circular group of volcanic islands located in the Aegean Sea, about 200 km south-east from the mainland of Greece (latitude: 36.40°N - longitude: 25.40°E). 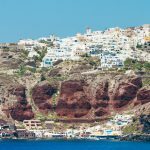 It is also known by the name of the largest island in the archipelago, Thira or Thera. It is the southernmost member of the Cyclades group of islands, with an area of approximately 73 km2 (28 sq mi), and in 2001 had an estimated population of 13,600. The inhabitants are citizens of Greece and speak Greek. 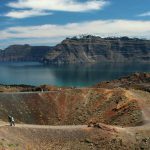 It is the most active volcanic centre in the Aegean Arc, though what remains today is largely a caldera. The name Santorini was given to it by the Venetians in the 13th century and is a reference to Saint Irene. Before then it was called Kallisti, Strongili or Santorini-Thira. Santorini is one of the most famous island of Greece, and for that reason, the ship connections during the summer season are very common. During summer time, many ships make daily trips from the ports of Piraeus and Rafina (both located near Athens)to Santorini. The classical ferry route from the port of Piraeus is Piraeus – Paros – Naxos – Ios - Santorini. Santorini also has many connections with the other islands of the Cyclades and the Aegean (Mykonos, Anafi, Amorgos, Naxos, Paros, Ios, Rhodes, Crete, etc). A classical ferry needs around nine hours to reach the port of Santorini, seven hours with the modern Blue Star Ferries and around four to five hours with the high-speed boats or hydrofoil. The cost by Plane to Santorini is 60 - 120 Euros depending the airline and how far in advance you will book it.